Ahh…batteries. The necessary, but often overlooked, addition to holiday gift giving. We’ve all been there. Your kid opens an awesome toy from Aunt Betty at the family Christmas party. They rip it open from the package, excited to share their new gift with rarely seen cousins, and then they realize the toy doesn’t work. Their little face falls as they realize that Aunt Betty forgot the batteries. Dad promises that he’ll slap batteries in that bad boy as soon as he gets home while Mom kicks him under the table because there are no batteries at home. It will all work out in the end, but in that moment Mom is wishing she had batteries in her purse next to the tissues and baby wipes. In my case, I don’t think I’ve ever forgotten to gift batteries. My problem is how I include the batteries. My typical vehicle for gifting batteries is called a plastic baggie. Yep. 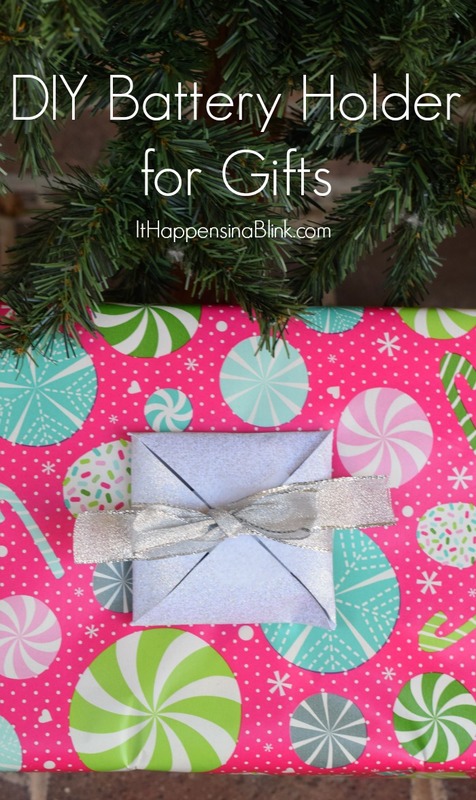 I toss batteries in a plastic bag and throw them in with the gift box or in the gift bag. I’m then calling the child’s mom after the party to make sure the batteries weren’t thrown away or lost in the hustle and bustle of gift opening. This Christmas, I was determined to come up with a better way to gift batteries. 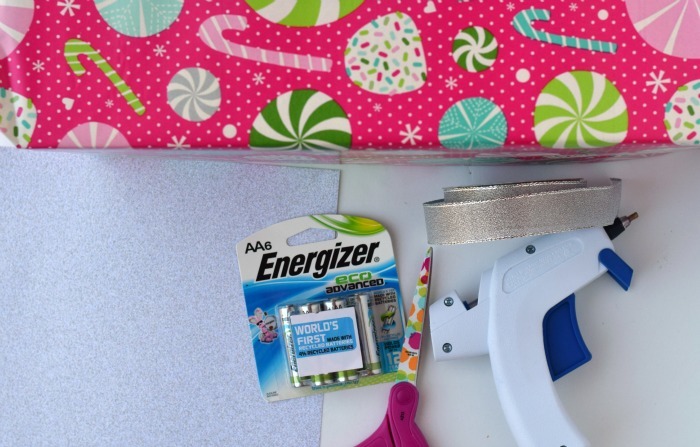 With a piece of card stock and a few craft supplies, I made this easy DIY Battery Holder that can be attached to ANY gift box or ANY gift bag. It looks cute while still being functional. 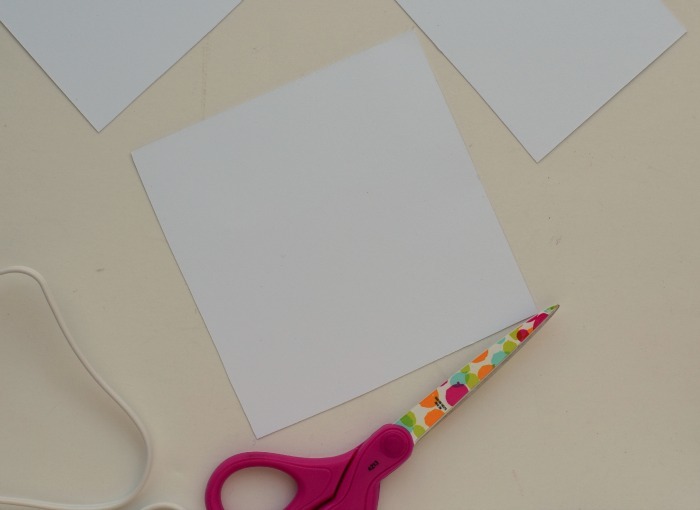 Cut a square shape from the card stock. 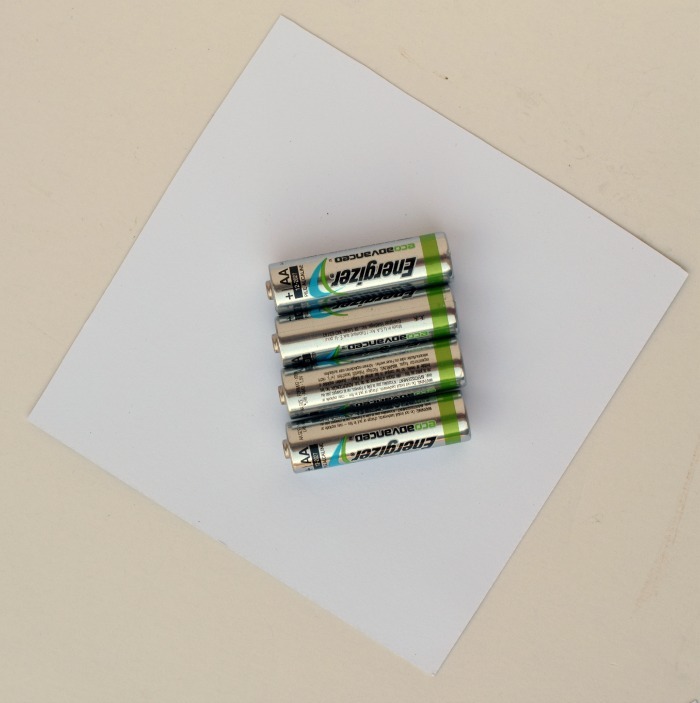 For four batteries, I used about a quarter of a piece of 8.5″ x 11″ card stock. Turn it to the side and place the batteries in the center. 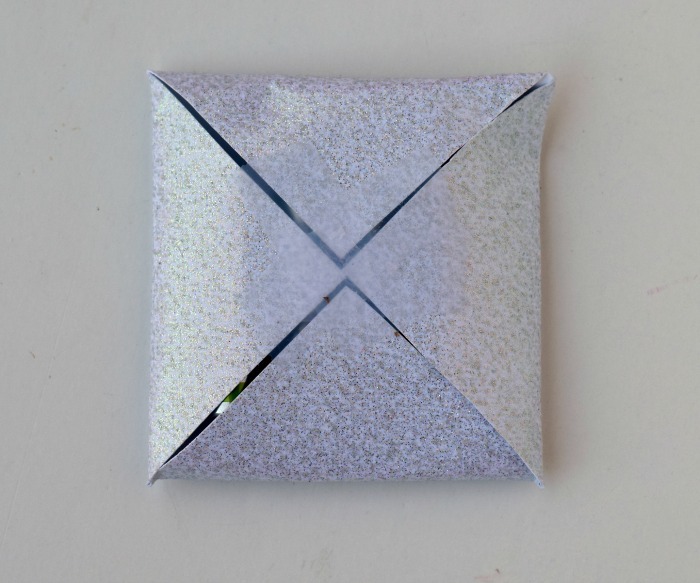 Evenly fold the corners in so that they all meet in the middle and cover the batteries. This may take a few tries. I think it took me 3 tries. Secure with a piece of clear tape. 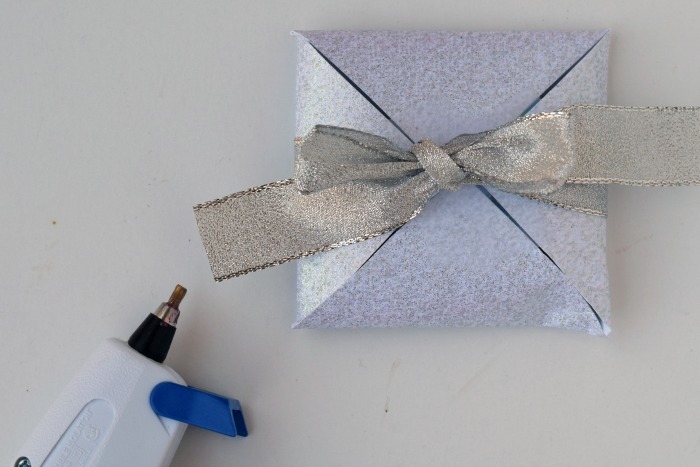 Wrap the length of ribbon around the back of the little battery package so that it ties in the front. Use hot glue to secure it in the back. Tie the front ends in a tight bow. 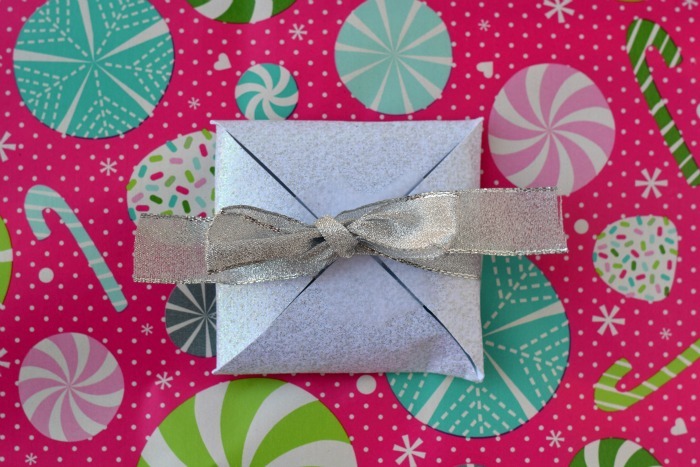 Use hot glue to glue the little battery package to the gift box or gift bag. Cute, right?!? The total project time for this should be less than 10 minutes. Once you’ve done one, the subsequent ones will be quicker. Christmas is a good time to stock up on batteries. Even if Aunt Betty forgets the batteries, you’ll still have a supply at home! This year, we are using Energizer® EcoAdvanced™ batteries, the the world’s first AA battery made with 4% recycled batteries. 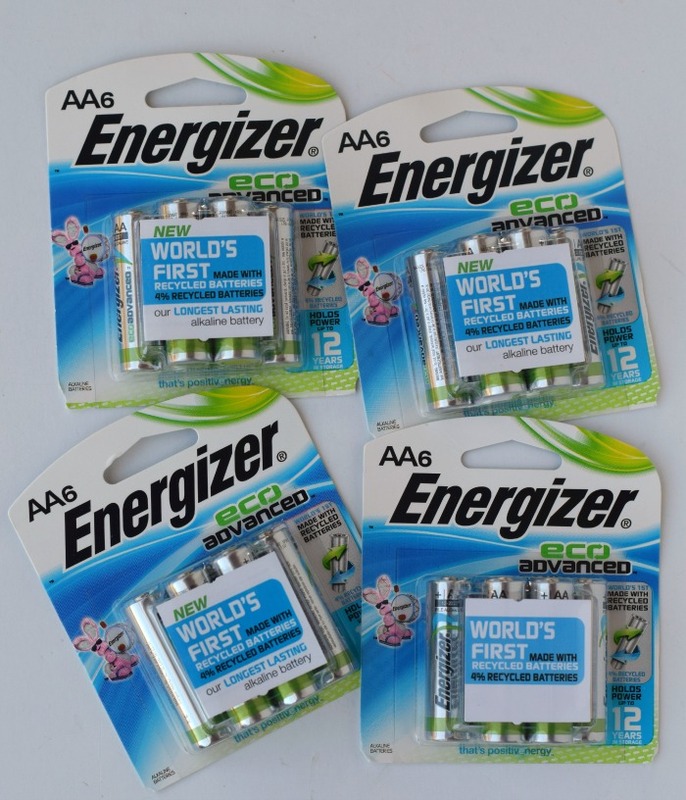 The Energizer® EcoAdvanced™ AA and AAA batteries are their highest performing and longest-lasting battery. Between my kids’ gifts and those that we are giving or donating to others, I knew it would be beneficial to stock up! 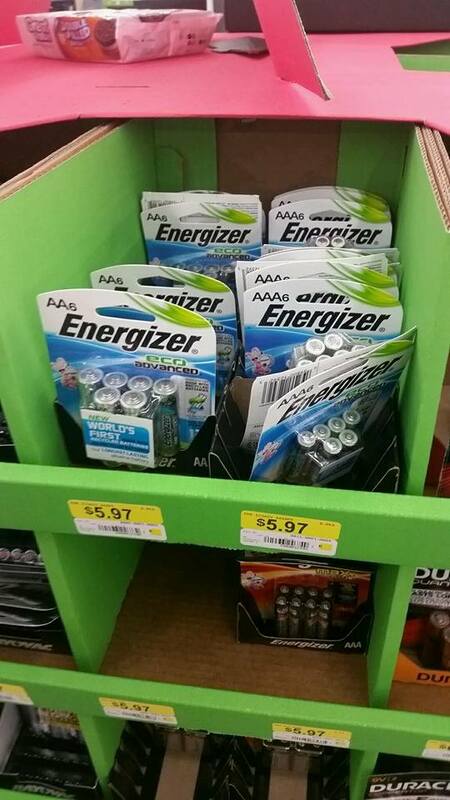 Find Energizer® EcoAdvanced™ batteries in the battery display at your local Walmart. 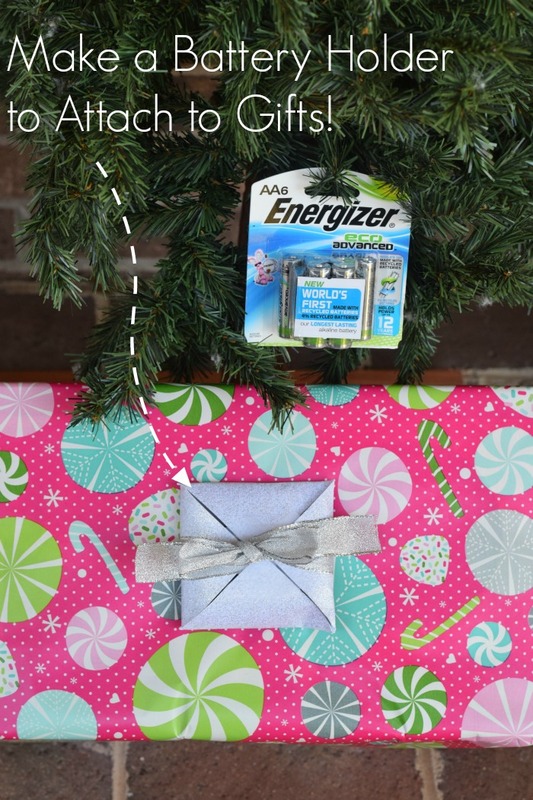 Are you gifting batteries this year to power your holiday? I love giving batteries as gifts. I love this holder. It is fantastic! Such a cute way to get those batteries in with the gift! I love it. This is such a great idea! And hot glue?! How have I not thought of that yet?!?! How cool is this?! I need batteries with almost everything I’m giving out for the holidays so this will really come in handy. What a fun way to add batteries! So smart. What a great idea, as a kid, I hated getting toys that didn’t have batteries. This is SUCH a good idea! Nothing worse than getting a present that needs batteries and no batteries! What a smart idea! I remember getting gifts as a kid and not having the batteries, it was always so disappointing! This is such a clever ideas! I typically spend tons of money after Christmas purchasing batteries for all my daughters gifts!